Image creation for the blog is not a tough task if you are creative. The main focus to create the image according to the content subject. The image can be changed as per the requirement of blog post content. You can not copy the image from other sites. So, it is the tough task for that blogger, who is not technically expert in image creation. The image plays a vital role to increase the traffic on site. The best way to add the image to quotes and connect the text of quotes with the content theme. The number of visitors tries the search the content through the image from the search engine like - Google, Bing, Yandex. If your image will be unique, then that will be reflected in the search engine group. The visitor will visit on-site through the added link. Image attract people attention. It is not mandatory, what you have written and done the grammatical mistake during writing the content. Social Media and blog without image like bread without butter. You see that if you tweet anything in text, the impression count will be limited, but that will be higher when adding an image. A general concept is that you will lose 94% views if you did not attach the image with content. Facebook comments and likes will increase by 60% and 100% respectively if the added image with the post. What Should Be The Checking Points During The Image Creation? You should ensure the below-given points after the creation of images. 2. Add properties column and fill Alt Text and Image title for better SEO. 5. Write the description in the “Add Caption” option with the keyword. These are the basic points which are important. These points implementation help to increase the traffic on the site. A new creation of the image is best for the site, know about the Best Tools To Create Images For Blog, Facebook, Twitter. The number of platforms is available to create or edit the image. The main point is “how to get a new image”. Several options are available - create a cartoon image, shoot the photo from high megapixel camera, use the mobile camera to capture the image or video, use youtube for the image. All are the tools use for steel photography and download images on the computer. Now just you have to compress the images and ensure the all above given points before uploading the image. The last one is ‘use youtube for new image’. You can create the image from youtube channels and edit according to your content subject. Just start to run the video and pause on that point which you want to use as an image. Press “PrtSc” key of the computer (print screen), now paste all images in “paintbrush”, cut the image from select option and again paste in the new page of the paintbrush. Resize the image to reduce the pixel of the image. Now optimize the image till photograph is looking perfect and download on your computer. A unique picture is ready to upload with blog content. Remember that image should never be boring for readers. That should be attractive and knowledge-based. High quality and the clear image will be appreciable and targeted the audience. 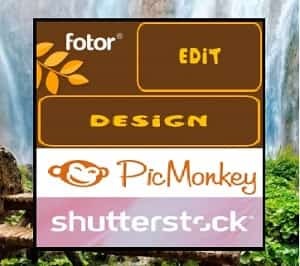 These are effective tools to use for making and editing the picture online. Add the picture to the blog post and Social Media for better traffic. Get feedback from visitor and add the features accordingly.